Good news, the whole sets of stock preparation line Leizhan supplied for Jiangxi Yudu Zhengyi Paper Mill has been installed, and customer send back the installation site to us. This project use LOCC as raw material to produce high strength corrugated paper. 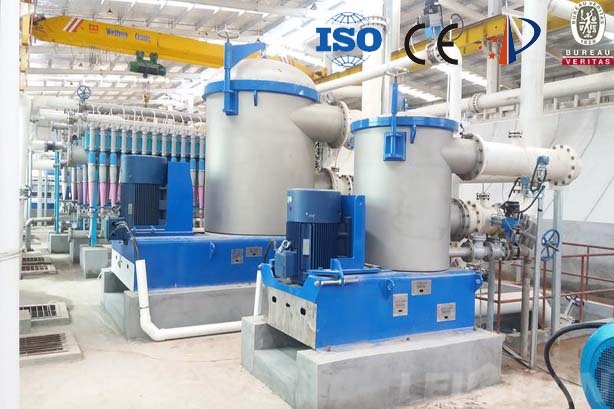 Leizhan Paper Machinery Company has a great influence in the paper industry, many customers are very satisfied with the energy saving effect of the machine, and then with the first second such cooperation. Yudu Zhengyi Paper Mill general manager visited our company and paper machine working site several times, the good performance of paper machine make the manager believe that our paper machine can bring their mill big benefits and at the same time achieve the purpose of energy saving and maintain a clean working environment.